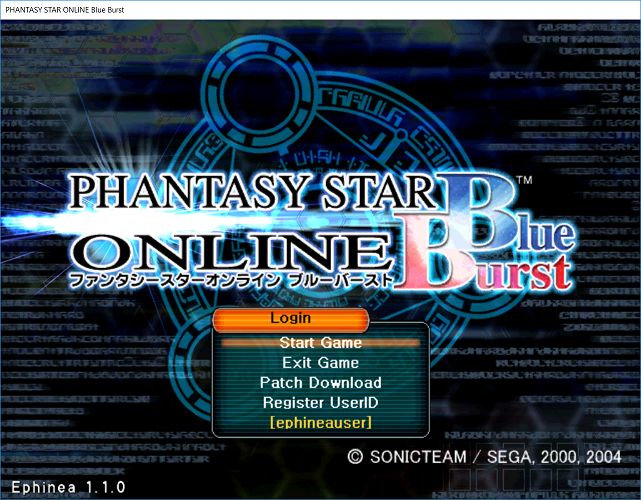 After configuring your options and launching the game for the first time, you will be presented with the title screen. 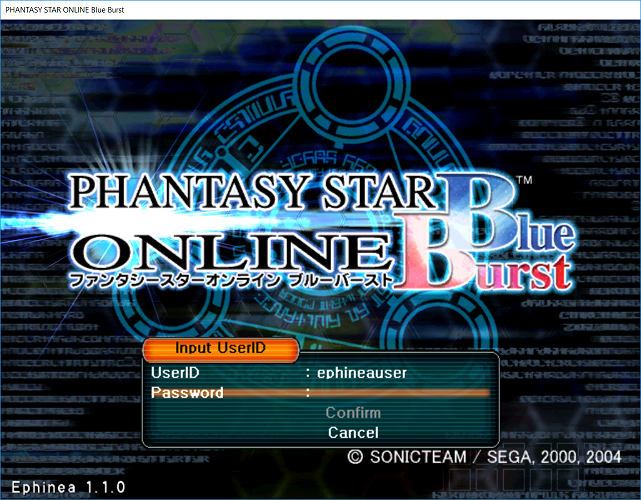 You’ll want to select "Register UserID" and input the credentials you signed up with on the Ephinea website. 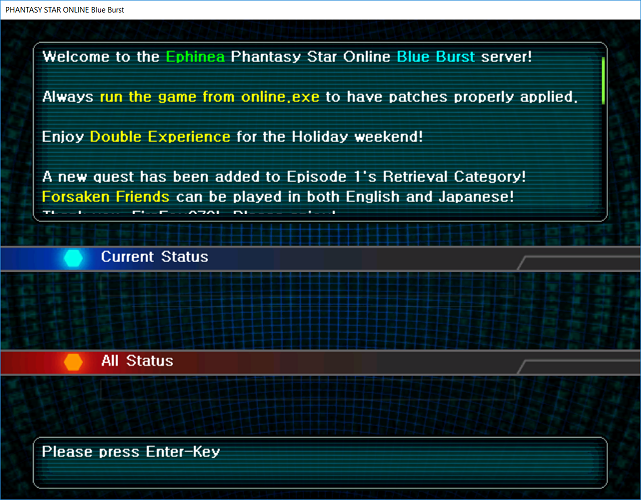 Put in your user name and password, then click "Confirm"
Select "Start Game" from the title screen this time and, provided the server is not offline for maintenance, you will be greeted with the Ephinea patch server. While your game is patched to be up-to-date, you can read a message left for you by the server administrators. You can scroll through this message using your Page Up and Page Down keys on your keyboard. When the patch process is finished, press ENTER and you will proceed to log into the game. If your credentials were input incorrectly, you will get a message telling you to type them in again. 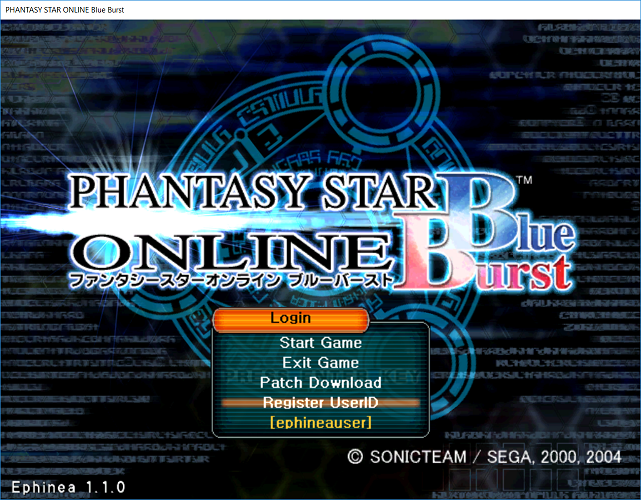 If you find you are unable to proceed past the patch server and a file "PsoBB.pat" is always downloading and then forcing you out of the game, you must make sure you run the game using "online.exe". This should allow you to get through the patching process and proceed to logging on. You may have to run online.exe as an Administrator. Once you are logged into the game, you will be presented with a list of characters on your account. 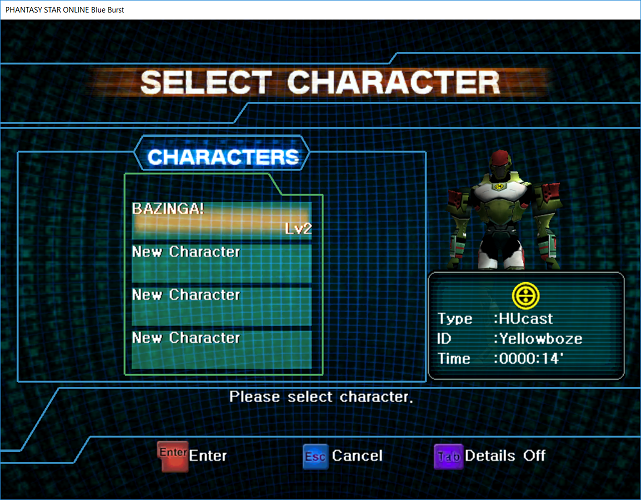 You can select the character you want to play using the arrow keys and enter, or using your gamepad.